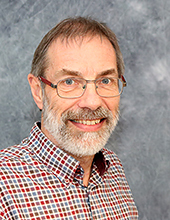 Sten Karlsson's research is currently devoted to energy efficiency and transition towards fossil free transportation, with a focus on various aspects of electromobility. These analyses have among other things involved development and exploration of a number of databases for vehicle movements. Electrification of the two-car household: PHEV or BEV? What are the value and implications of two-car households for the electric car? How are driving patterns adjusted to the use of a battery electric vehicle in two-car households? Are electric vehicles better suited for multi-car households? Elbilar och körmönster, ett problem? The Swedish car movement data project Final report. Conflicting interests in defining an 'optimal' battery size when introducing the PHEV? How energy efficient is electrified transport? New sold cars in Sweden 2007 – is a new trend materializing? Paper for the ECEEE (European Council for an Energy Efficient Economy) 2009 Summer Study, 1–6 June 2009, La Colle sur Loup, Côte d'Azur, France. Better performance or lower fuel consumption. Technological development in the Swedish new-car fleet 1975-2002. The relation between technological and market development– its effects on fuel efficiency in the Swedish new car fleet. Improved fuel consumption through downsizing. Rhetoric or reality? An analysis of the Swedish new car fleet. Plug-ins – a viable efficiency option? Modelling and economic quantification of down-cycling in the turnover of aluminium. There might be more projects where Sten Karlsson participates, but you have to be logged in as a Chalmers employee to see them.